Pink BlackBerry Curve headed to Verizon | BlackBerry Blast! 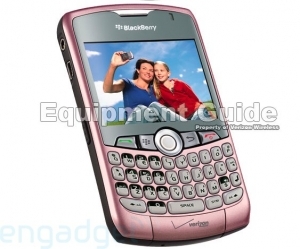 It appears that the BlackBerry Curve is coming to Verizon in pink. Just days after T-Mobile launched a Sunset red colored BlackBerry, and even lighter shade of red will show up on Verizon. engadget mobile is reporting that the pink BlackBerry Curve 8330 will start selling this Friday for $99.99 after rebate and a two-year contract.